Two weeks ago I woke up, looked in the mirror and didn’t recognize the person staring back at me. 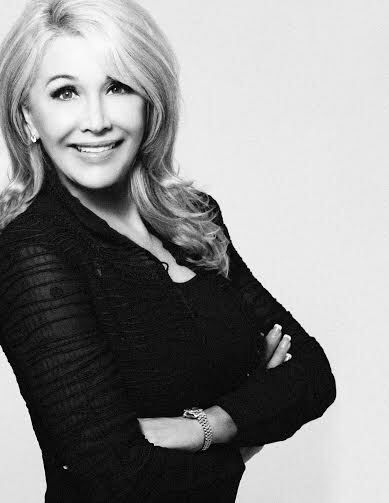 “This is Leigh Valentine?…The woman known for her ageless skincare products, multiple appearances on QVC and infamous infomercials?” I thought to myself. I looked tired, felt exhausted, and immediately wanted to get back into bed. I know how strange this may sound, as I have been in the health and beauty industry for almost thirty years, but the stress of managing a company, being a mother, taking care of a household and fulfilling my obligations to the various organizations I am apart of, had finally taken a toll on me. I was traveling non-stop, running myself ragged, making poor food choices and leaving nothing at the end of each day for myself. Yet, even still after I made this realization, I had no plan, no course of action, and no idea of how to make a life change. It has taken new friends coming into my life-who are working with me to relaunch my brand-relying on longtime trusted colleagues and many prayers, to open my mind and heart to change. Finally giving myself the time to think about a healthier course for my life, I have made the decision to lose twenty pounds by radically altering my diet—no gluten and no sugar—and doing something every day to strengthen my body, sharpen my mind and rejuvenate my spirit. To strengthen my body, I am on a regimen that has me in the gym five times a week, doing cardio and lifting light weights. No Pain, No Gain! I also went to a doctor for a ‘head to toe’ exam, and new blood work. She noticed my estrogen levels were low and believe it or not I had no testosterone! Though testosterone is one of the most important hormones for men; women need small amounts of it for healthy hair, skin and muscle mass. So she immediately put me on a natural Bio-Identical hormone cream with added DHEA to help boost my energy levels. She also instructed me to cut carbohydrates and gluten from my diet, sticking to mainly vegetables and meats to lower my cortisol (indicator of stress) and help me to lose weight faster. To sharpen my mind, I commit to staying abreast on world events and news. Making the effort to be aware of people and cultures around the world, will only expand my mind and make me a more well rounded person. To rejuvenate my spirit, I am recommitting to putting God first, have added Wednesday night church services to my weekly routine, and will take an extra few minutes to be still in prayer in the mornings. I know this re-commitment will only bring me inner strength, happiness and peace, because I believe that in every battle you will see victory if you put your trust in Him, the creator. In my heart, I believe that beauty begins from the inside out. So I am embarking on this six-week journey of health, happiness, faith and beauty, to truly rediscover the meaning of “Leigh Valentine Beauty.” Walk with me. While I am on my journey, I want to hear about one you’re on! Are you in need of a life change? —Interested in embarking on a six-week journey of your own? If so, where would you want to be six weeks from now? Share your ideas for how you plan to make a life change, and let’s discover new ways to be healthy, strong, and ageless together! I’m experiencing this right now. I too am on a journey & looking to change everything around me! I’ve never been one to settle, but in the past year I’ve become more intolerant. I refuse to become comfortable just because it’s safer than walking off of a ledge. Obsessively working on obtaining a provisional patent for my new hair product, however I’m not a professional nor am I experienced in such a field. I feel a little overwhelmed and confused. Attempting to move out of the F&B industry, I AM capable of so much more. Taking control over my schedule & attending network events for the first time. Reminding myself I am no less special than those who have made it & that I too can do the same! Faith. Thank you for commenting. I sense your resolve to take control of your life, and we both know as long as you have faith, it’s a matter of ‘when’ not ‘if’! Keep it up and know that I am rooting for you!